I have a few things that I love in life – of course one of those things is beauty, I am an avid reader, but music is also a passion of mine! Music is such an intrinsic part of me it is very much a part of my identity. I am a singer (purely an amateur mind you…I have no desire to make an appearance on a TV talent show any time soon! ), and I have sung for as long as I can remember, starting in church, but I also sang at school and college. I have had the privilege to have sung many genres, from Gospel (see image!) 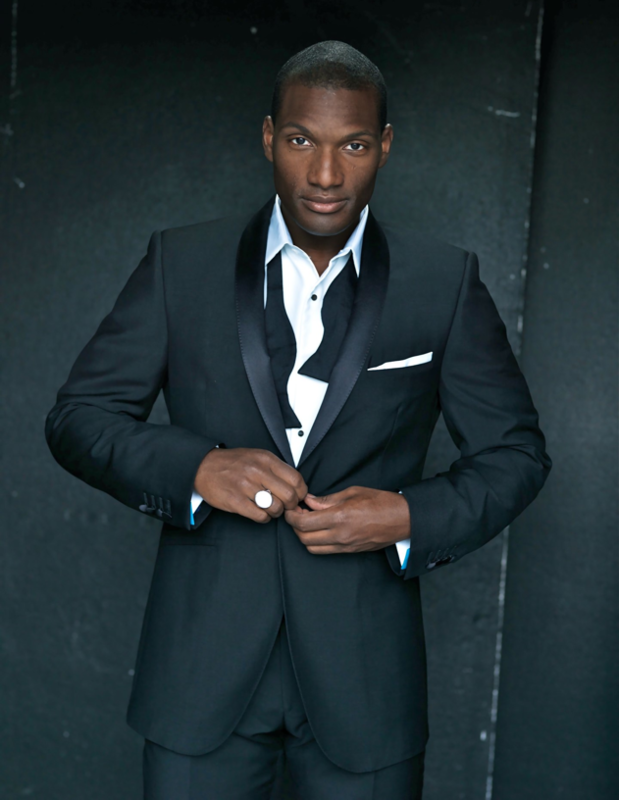 to Rock, Motown to Jazz, and thus developed a love for all types of music and I have a wide-ranging, eclectic taste. One genre that I adore is Classical. I discovered the beauty of classical music whilst I was a student. It is truly emotive and has the ability to move you deeply. 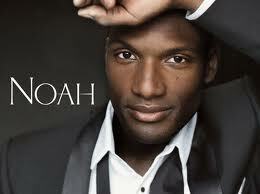 When I heard that Noah Stewart was announced as the first Black artist to top the Official UK Classical Album Chart on Monday, I was over the moon! His album also entered the Official UK Album charts at number 14! Of course, music should not see colour, but it would be naive to say that the world of classical music and opera is not seen to be associated with a certain class and culture and to not acknowledge that few people of colour have been able to penetrate its ‘glass ceiling’ to the reach the pinnacle on the stage or in the studio. This has never been an issue for me, but I was buoyed to see that here in the UK, slowly but surely, we are making progress and having a presence in all areas of society. I was going to blog about this incredibly talented artist….but my good friend and fellow blogger. The London Chronicler, is an excellent writer and is equally passionate about the genre, so here is her reflection on Noah’s historic achievement…. …. oh yes, and go buy his album too! I was browsing through my twitter feed the other day when I suddenly spotted a retweet from the Royal Opera House (Yes, I follow them as I love opera and all things classical, I’m out of the closet!). The retweet was from an up and coming black tenor announcing that his debut album, Noah, had reached number one on the classical charts. The Royal Opera House, where he has just finished his debut performance in Judith Weir’s Misfortune, promptly tweeted their congratulations, which is how I got to hear about it! It was very exciting! I had seen him on Gabby Logan’s Channel 5, morning show and enjoyed his interview with Gabby, covering his childhood in Harlem New York and his love of music. He was charming, well-spoken, intelligent and erudite. He also performed an impromptu song, an excerpt from the album and was excellent, just like any other tenor. So I kept asking myself, why did it make the headlines that a black singer topped the classical charts? I’m not the only one to ask this question. Many of the commentators on the Telegraph’s online piece on Noah, seemed to imply the same thing. My son, when I shared a tweet from Radio 4 from their interview with him, where he said he had been told he couldn’t sing opera because he was black, was baffled as to why anyone would say that. I tried to explain it by asserting that people generally stuck to stereotypes they are familiar with, and since there were generally hardly any black people in opera, I thought the advisers were probably only trying to be helpful, telling him to stick to a genre he was ‘more likely’ to be successful in. Not terribly satisfied with my analysis, I asked myself another question, why aren’t there more black people in Opera, it can’t be all discrimination. Afterall, Noah got there in the end and has managed to play Carnegie Hall, the Royal Opera House and a number one debut album by the age of 33. No mean feat for anyone. My experience of mainstream middle class, white activities in Britain is that black people don’t venture into that arena too often, and if they do, as soon as there is the slightest hint of criticism or resistance, we retreat, wondering if we really have the right to be there in the first place. My own ‘mixed heritage’ background frequently causes me to deny parts of myself that are ‘too white’ for black company. So it is only now in my forties, that I feel confident enough to indulge my passion for classical music. I was once in a gospel choir, where we sang Handel’s Messiah for Christmas. When I shared the story about the King standing up in awe of the Halleluyah Chorus, creating the tradition of standing when it’s played, a story that I thought was common knowledge, I did get a few funny looks. I would suggest that it’s okay to be who you are, do what you do and be the best you can be at it and nothing or no one can stop you. That’s probably why Noah made the headlines, the fact that he overcame many obstacles, some of it has to be said, his own biased expectations, to achieve his dream. This of course is an ideal, but I think it’s one that we would all do well to aspire to. On the 27th February, the singer Elisabeth Welch (1904 -2003) was commemorated with an English Heritage blue plaque in south-west London. She is the second black women to have received this hounour (the first was Jamaican born nurse, Mary Seacole). 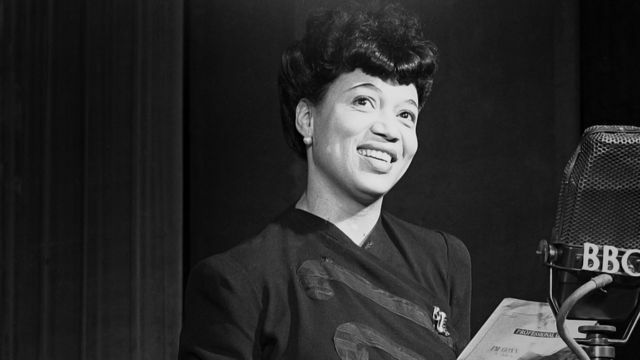 Born in New York, Welch had a rich cultural heritage through her father John, who was Native American and African-American and her mother Elisabeth, who was of Irish and Scottish descent, however like many African-American performers of her time, found greater success in Europe than in the United States. After starting her career in New York, Welch performed in popular clubs in Paris and London, and, later, in British films. She settled in London in 1933, which remained her home until she passed away just a few months shy of her 100th birthday. 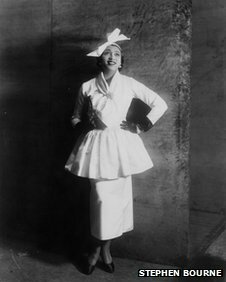 The 1930s saw Welch become a trailblazer for black women in Britain. It was the decade where Ivor Novello wrote songs for her; Paul Robeson was her leading man in films; and Welch enjoyed popularity as a cabaret star of London’s cafe society. In 1931 she introduced the famous torch song “Stormy Weather” to British audiences. Watch her singing it here many years later in 1980 (more about this performance is written below). 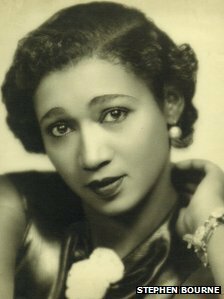 In 1934 she was the first black broadcaster to be given her own radio series, Soft Lights and Sweet Music, by the BBC. Her many radio shows include two guest appearances on Desert Island Discs. In the later years of her life Welch stopped the show once again in the 1970 musical, Pippin, made new records, and also gave what was perhaps the most startling appearance of her film career in Derek Jarman’s Tempest (1980), at the end of which she sings a typically poised version of Stormy Weather surrounded by a chorus line of leaping, high-stepping sailors. There were those who thought she was the best thing about that controversial interpretation of Shakespeare. In high old age, Elisabeth Welch continued to sing with great aplomb; recordings from the mid-1980s indicate greater maturity of interpretation than ever. In 1992 stars gathered at the Lyric Theatre in London to pay tribute to Elisabeth Welch in the Crusaid Concert; where she was given an unprecedented five standing ovations. She was also known for her style and class as well as for her voice. Recreate her classic old school, glamorous look. 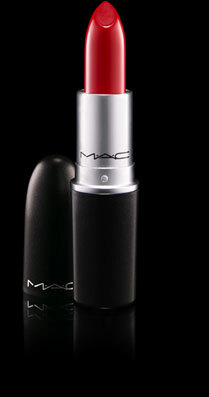 For decades, a red lipstick paired with strong black eyeliner has been the vanguard of makeup for any showbiz starlet. Accentuate the eye by sweeping a golden eyes hadow across the entire eye, right up to the brow bone. 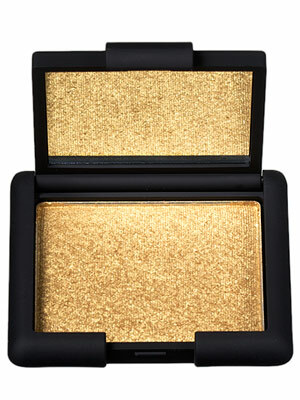 I like Silent Night by NARS (£16.50). 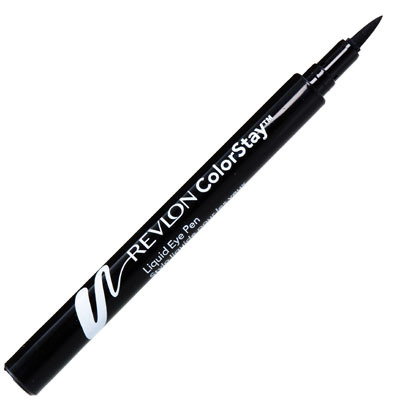 Line the eye with a liquid eyeliner pen for ease of application (Revlon ColorStay Liquid Eye Pen in black is ideal, £8.99 ). Curl lashes and then apply lashings of thickening mascara. I love High Impact mascara by Clinique ((£16) for its intense black pigment. A show girl must have ruby red lips – and in my opinion Ruby Woo by MAC (£13.50) works well with a lighter skin tone such as Welches, but for a darker tone such as my own, I prefer a deeper red with blue undertones – my all time favourite is Russian Red by MAC. Apply with a lip brush, blot – then apply a second coat. 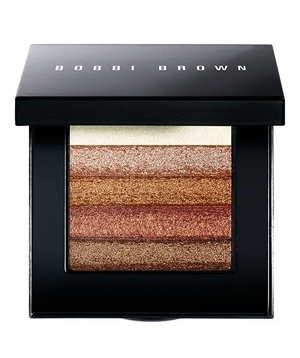 Finish with an illuminating bronzer, such as the cult classic Shimmer Brick in Bronze by Bobbi Brown (£30.50). Who will be the next black woman to be recognised in this way? I hope we do not have to wait to long to find out! Surprisingly (especially to those who know me) I was wide awake at 2 am this morning when the news broke that Whitney Houston had died at just 48 years old. The Twittersphere was awash with tributes to an amazing singer and I was surprised and touched to see that unlike in the US, all the top UK Twitter trends related to the fallen star. As I reminisced over her portfolio of songs; ‘One Moment In Time’, ‘Dance With Somebody’, ‘My Love is Your Love’. – and the most powerful of power ballads – her rendition of Dolly Parton’s ‘I Will Always Love You’ – a lump did rise in my throat as I thought about her tragic demise. I, along with countless others in the UK had brought the single (on tape…oh yes…it was back in the day!!). The song reigned supreme and was number 1 in the UK official top 40 for 10 triumphant weeks, setting the record for the longest run at the top by a solo female artist in the history of the British singles chart. 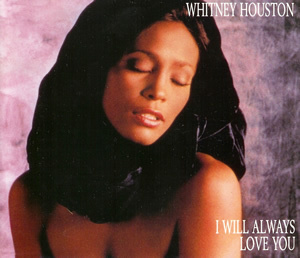 Houston’s single was also a massive international success, peaking at number one of the singles charts in almost all countries, selling 4,591,000 copies in the US. The single also hit pole position for ten weeks in Australia, five weeks in Austria, seven weeks for Belgium, eight weeks in France, six weeks in Germany, eight weeks in Ireland, two weeks in Italy, six weeks in Netherlands, 11 weeks in New Zealand, nine weeks in Norway, six weeks in Sweden and eight weeks in Switzerland (thanks Wikipedia!). On the B-side of the single was this song. Take a listen – it speaks for itself. Irrespective of what happens in this life, we are loved. This time last week I woke up still BUZZING from a fantastic night I had had the previous evening, at the famous Royal Albert Hall – where I joined thousands of soul lovers for the London leg of Beverley Knight’s (MBE) Soul UK Tour, which correlates with the launch of her latest album of the same name. Often dubbed the ‘Queen of UK Soul’ – I was really not prepared for the outstanding level of pure, unadulterated talent that this beautiful woman possesses – she can really sing – like REALLY sing! Her vocal range is magnificent and her pitch impeccable. She truly deserves her title and she reigns supreme. 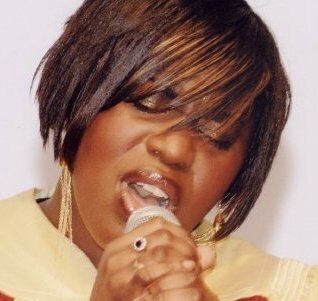 Born in Wolverhampton in 1973, to a Jamaican family, with Gospel music and Sam Cooke filling her home, Beverley burst onto the music scene in 1995 with her club classic debut, ” Flavour of the Old School”. With over 17 years worth of hits and 8 albums to date – Beverley and her incredible band took the audience on an explosive, melodic retrospective of British Soul – which in her words does not “get the recognition it deserves”. As well as performing some of her best known tracks such as ” Shoulda Coulda Woulda” and “Greatest Day“, she paid homage to some of the greats of British Soul such as Soul II Soul and The Young Disciples (they wrote and sang ‘Apparently Nothing’ (…nothing apparently…you know that one, don’t you!). She also looked AMAZING!! Numerous costume changes kept us entertained and enthralled – and she exuded the confidence of someone who is 100% at ease with her (enviably toned) body, which was really great to see! "You looking at me"?? Like - YEAH - you look FANTASTIC! In a recent interview in the autumn edition of Blackhair magazine , Knight divulged that she worked hard to maintain her figure by working out and eating in moderation – no Diva-style cabbage diets here – just a good old common sense approach. The same interview also discussed Beverley’s make-up brand ‘K’. I can remember the buzz about the launch of her brand!! Exclusive to the beauty mecca that is Selfridges – I was over the moon to see a British brand being launched to meet the needs of British women of colour. Unfortunately the line met its demise earlier this year. Knight states that “… [with] ventures that involve anything to do with black skin or beauty…there seems to be an issue either with marketing or distribution. Like many others I came up against the same problem”. The company that was behind the distribution of the brand was Jigsaw Esl. A PR friend of mine recently regaled her experience with the the company. She was not impressed with the communications team at Jigsaw Esl, stating her frustration at what seemed a lack of dedication to the brand. She stated that she contacted the organisation on several occasions, asking for the official press release – but was pushed from pillar to post and received nothing in the end. It seemed, to her at least, that Beverley’s brand was NOT on the top of their agenda in the slightest…. But it’s is not all doom and gloom, Beverley promised Blackhair magazine that the range would be back in 2012!! I will be keeping my eye out for the re-launch and I wish Beverley all the success in the world! Whilst you are waiting, you can buy UK Soul, by Beverley Knight here.